This month I am pulling from my, "oh this book is so dark & heavy, yet SO emotionally rewarding!" pile. Yes my friends, I am a lover of dark YA contemps. I am a HUGE pusher of this book. I feel like it hasn't gotten the attention it deserves among the book blogging community. 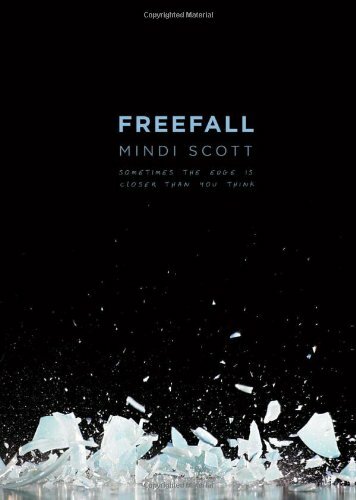 If you haven't read Mindi's debut novel, Freefall -- then what are you waiting for?? She does a superb job of speaking in a teenage boy's voice. I found this story to be real & compelling. Definitely a tear jerker, but so definitely worth it! Parker doesn’t want to talk about it. She’d just like to be left alone, to disappear, to be ignored. But her parents have placed her on suicide watch and her counselors are demanding the truth. Worse, there’s a nice guy falling in love with her and he’s making her feel things again when she’d really rather not be feeling anything at all. Nobody would have guessed she’d turn out like this. But nobody knows the truth. Something horrible has happened, and it just might be her fault. This was my first novel written by Courtney Summers that I read & I am so, so glad that I did. This woman is the epitome of dark YA contemps that should be glorified by all. Her writing is so unique & brilliantly laid out. I love the rawness in her words & the depth of her stories. Read this & then every thing else by this fabulous lady! This book literally exploded off the pages for me while reading it. I was grief stricken right along side Lennie & felt the turmoil she faced when trying to decide which boy she needed to seek comfort from. This story is beautifully written, so much that I can't believe it's Jandy's first. I cried like a baby while reading this book, but oh man -- it left a huge impact on me when I finished. From acclaimed author Blake Nelson, the story of girl meets boy...in rehab. This book gives a real look at the ugly side of rehab & the effects it has on teenagers. I loved the rawness of Blake's words & how devastatingly accurate he portrayed this scenario. Though the subject matter was tough to get through at times, I think what I appreciated most was the true ending. Life is not wrapped up in pretty bows. It's messy & it hurts. But at the end of the day, we all somehow survive. Thanks for the recommendations! I might get The Sky is everywhere. It sounds so sad and really good as well. :D Thanks again! 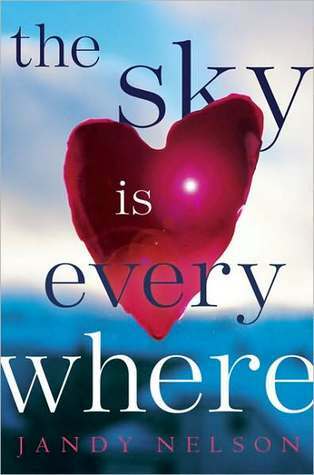 I've been wanting to read The Sky is Everywhere since it was released but it keeps getting pushed to the back of my mind. I have heard nothing but good things about it and I really need to just get a copy and read it already. I've only read Fall For Anything by Courtney Summers but I loooved it. I'll have to check out her other stuff. Love this segment. Picked up Freefall and can't wait to read. The others are going on my list too. 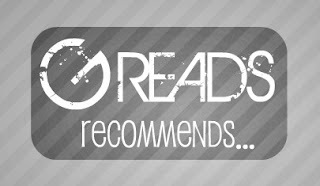 Excellent choices, G. I have Freefall sitting in my TBR pile, so after you said you loved it, I know I will! 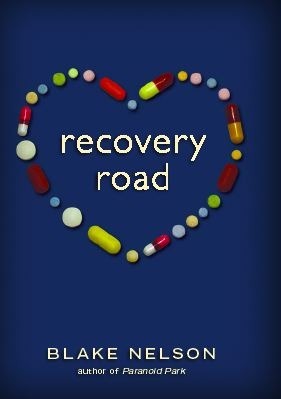 I haven't read any of those, but Recovery Road has been on my "to-read" list for ages, as had Freefall. And loads of people have said that The Sky of Everywhere is fantastic, so I might have to try and get a copy. Great recommendations! Freefall is amazing. Seriously one of the best contempts I have ever read. 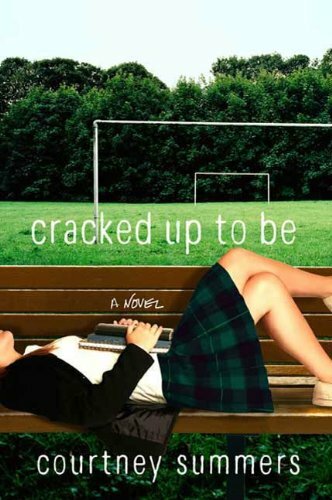 I haven't read Cracked up to Be BUT I did read Fall for Anything and I could just tell that Courtney has a knack for writing excellent books. Great list! I've heard such good things about The Sky Is Everywhere. I have Recovery Road on my shelf to be read. Story of my life...books waiting on my shelf! One day, one of these days I'm going to read THE SKY IS EVERYWHERE. As you know I finally have Recover Road in my grabby hands. I've read CUTB and TSIE, now I just need to get my grabby hands on Freefall too! I think I heard about this one from Amber (@LiteraryWife). Great choices!